Jewelled blenny (Salarias fasciatus) on a reef. 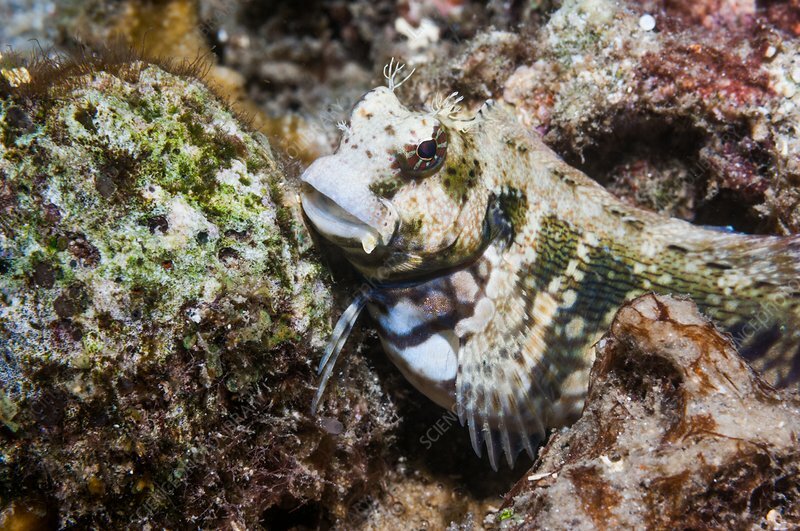 The jewelled (or lawnmower) blenny can change colour to blend into its surroundings and avoid predators. It can grow up to around 14cm long. Photographed in the Lembeh Strait, North Sulawesi, Indonesia.